The dish I just finished licking my plate of was way too good to let sit in my word documents waiting to be shared with the world and also is just too damn good to be named. Caprese doesn’t do justice to the way this tomato, mozzarella, basil and balsamic dish is prepared. Comments or ideas on possible names please come rolling in, I will need help with this one!! 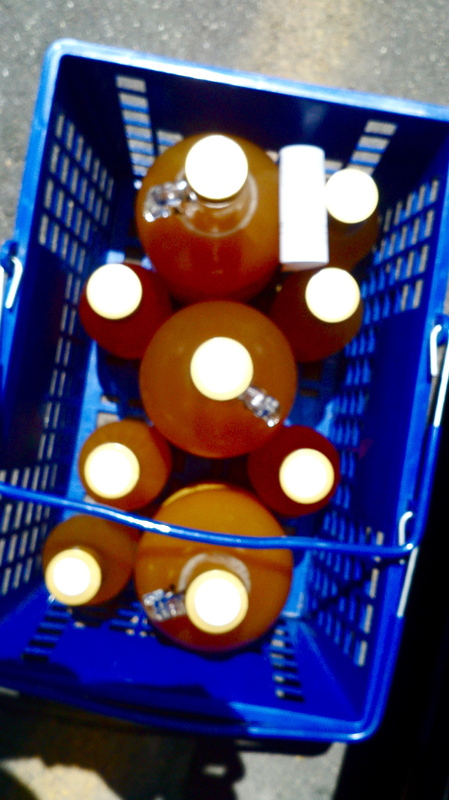 I guess I’ll give you the juicy details so you can recreate it in your sweet smelling home…. 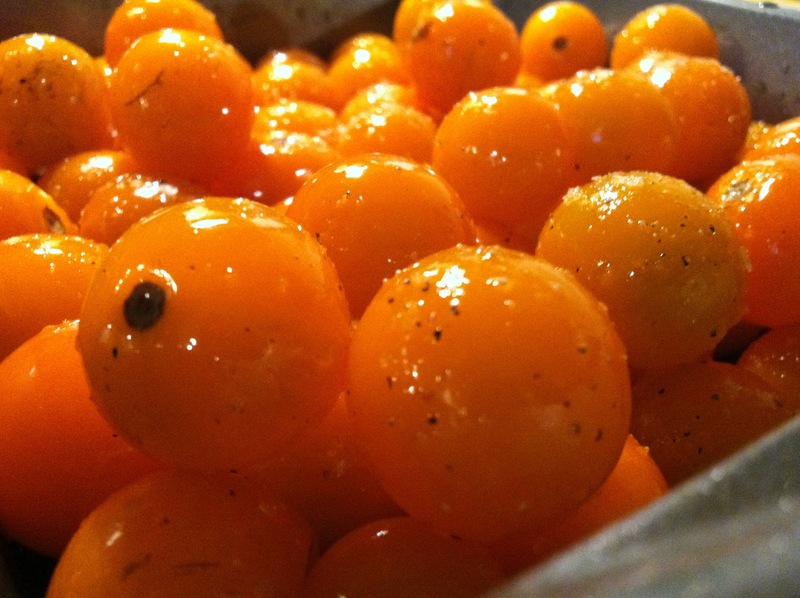 So start off by liberally dousing sweet cherry tomatoes with olive oil and salt. Place them in the oven at 425 degrees for about 15 to 20 minutes letting them roast and explode! 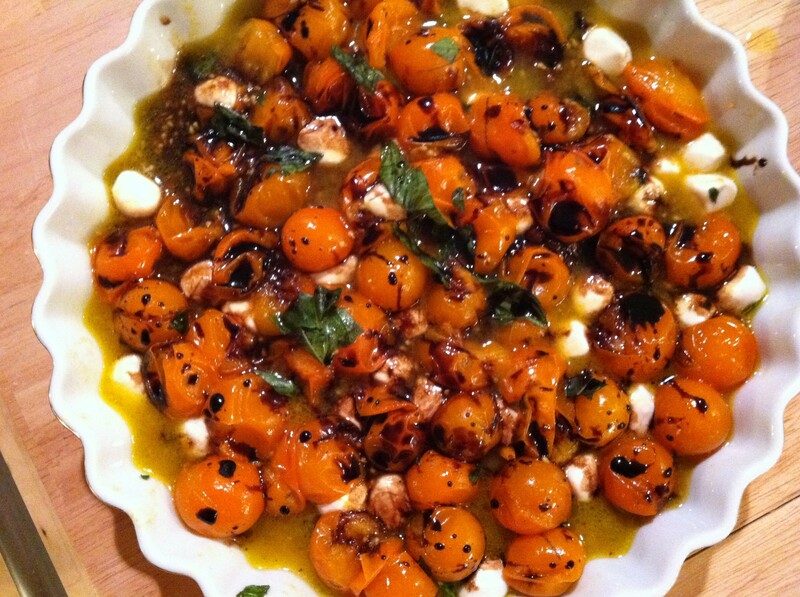 While these are roasting get started on the balsamic glaze. I found the recipe online at Simply Recipes and it is oh so simple. Reduce half a cup of balsamic with two teaspoons of sugar over high heat until it thickens. Plate the tomatoes with fresh mozzarella, rip up fresh basil and then drizzle the balsamic glaze all over the place (adding salt to the finished meal if needed). Try this and you may never want to eat a caprese salad any other way. 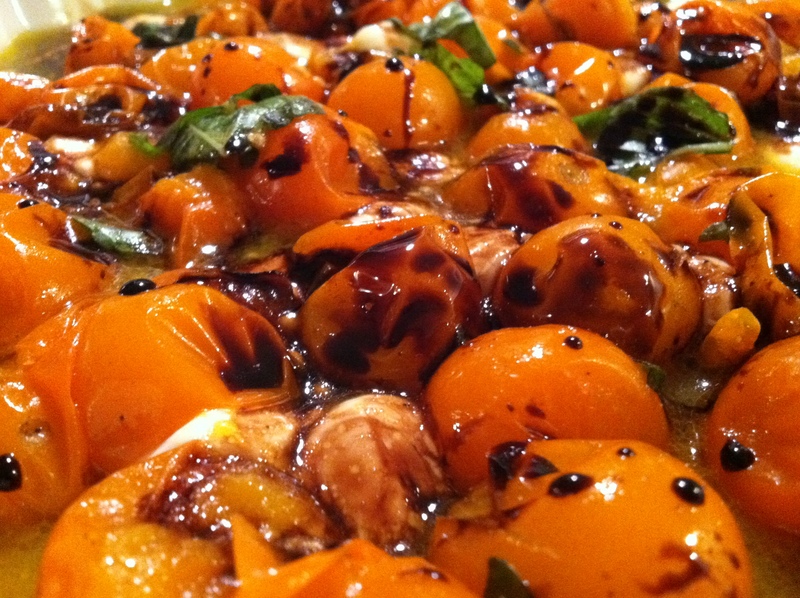 Next up is figuring out what else I can make with this DIVINE balsamic glaze… bon appetit! This post is almost one of my favorites because this sandwich is out of this world and will definitely be featured in a future cookbook!! Lunch was aproaching quickly and we had some portabella mushrooms calling our names.. what to do, what to do?? We decided to get a bit adventurous and created marsala mushrooms with portabellas and slapped them in-between some veggies and bread, waalaa. The preparation of the mushrooms was like any other marsala preparation. Slice the mushrooms and sauté them in butter and when they are on the edge of being done add a splash of marsala cooking wine to caramelize them. Make sure to add the marsala at the end because adding this essentially finishes cooking the mushrooms. Once the mushrooms have a nice coating of marsala feel free to continue cooking for a few more minutes. 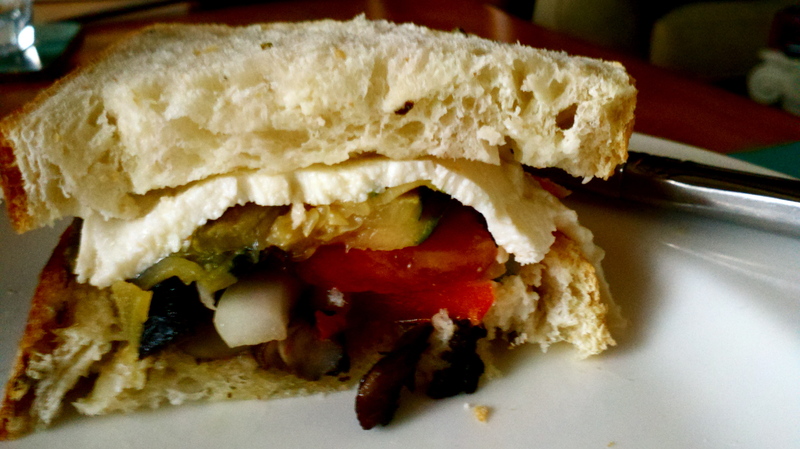 When creating the sandwich you can choose whatever you like but we sliced up some fresh mozzarella, heirloom tomatoes, last nights grilled zucchini and shreds of fresh basil. Bon appetit to turning a dinner entrée into a tasty sandwich. This post is no where near Michael Jackson’s hit single Beat It but almost as good and hopefully soon to be as popular!! 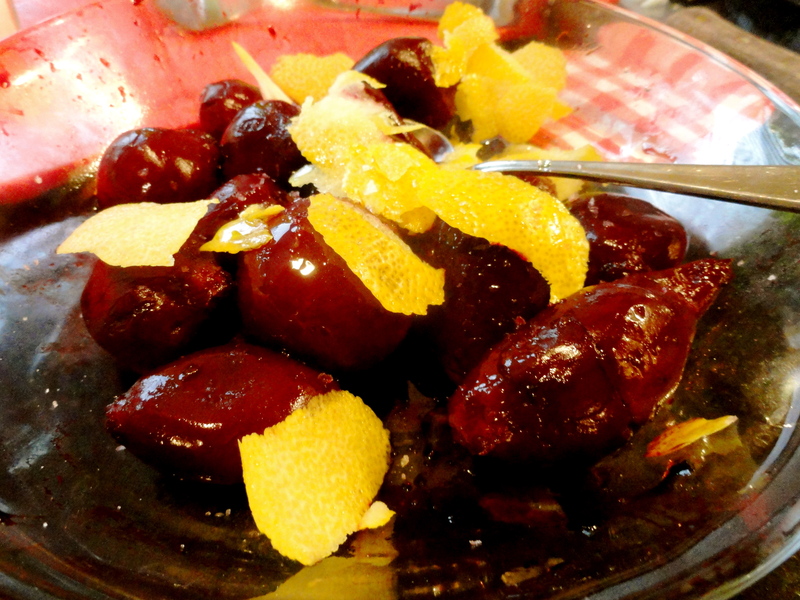 Searching for a good summer recipe to go along with the large bundle of beets we just purchased from the farmer’s market we came across the website Simply Recipes highlighting a Roasted Beet with Balsamic Glaze. 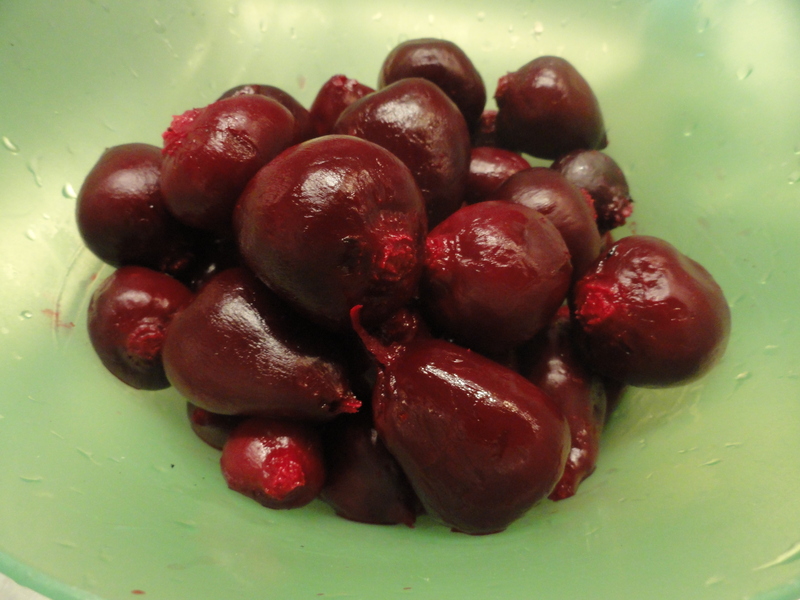 From time to time I go on a beet craze and ever since I returned from China this was a vegetable I was dying to dine on. The recipe was as simple as the name of the website (SimplyRecipes) and took only a few tries to perfect. The beets are roasted at 400 degrees for an hour or two, depending on how large the beets are. It’s important to rub with olive oil and salt in order to give more flavor and to avoid drying them out while roasting. 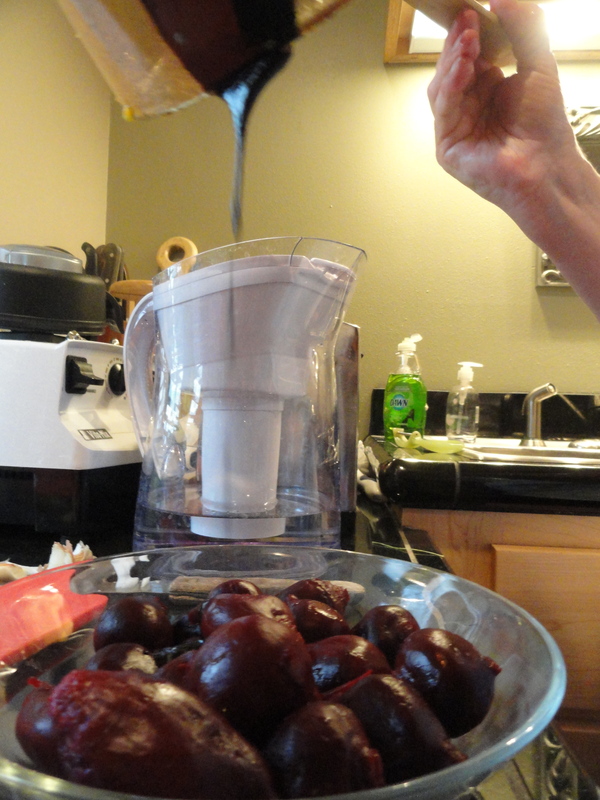 Poke the beets after about an hour every so often in order to find out when they are ready to be taken out. The best part isn’t with the roasting but instead the Balsamic Glaze drizzled over top!! It may take a few attempts but start with a small, shallow sauce pan and add the balsamic vinegar and sugar in order to reduce into a syrup. 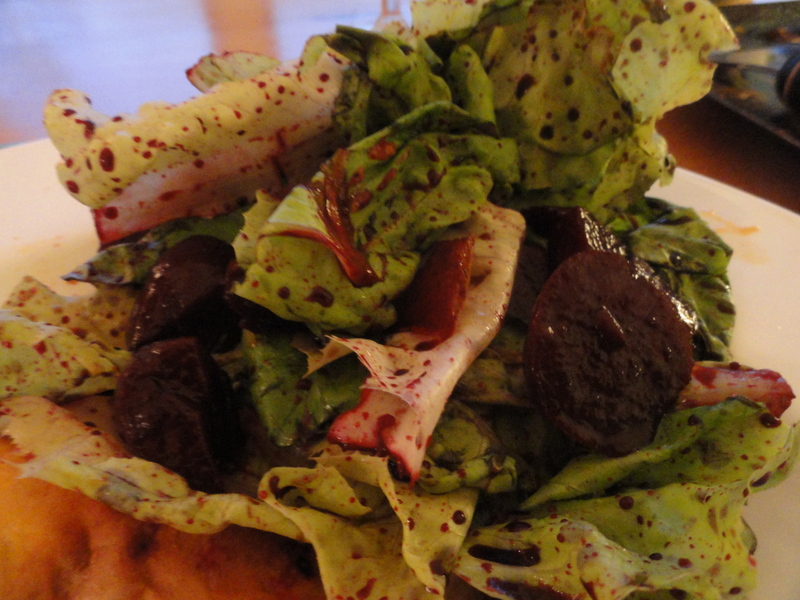 When the beets are finished roasting chop them up to the size you prefer and pour the balsamic glaze over. We choose to grate some citrus zest over the top, whatever you have available would work, but we went for orange adding an extra bite to the dish. These are a great snack or an accompaniment to any meal and can be served hot or cooled, or even in a salad. To find the original recipe visit SimplyRecipes online. Not to mention cooking with beets always makes for some fun artwork, even though mother always told me never to play with my food, bon appetit! 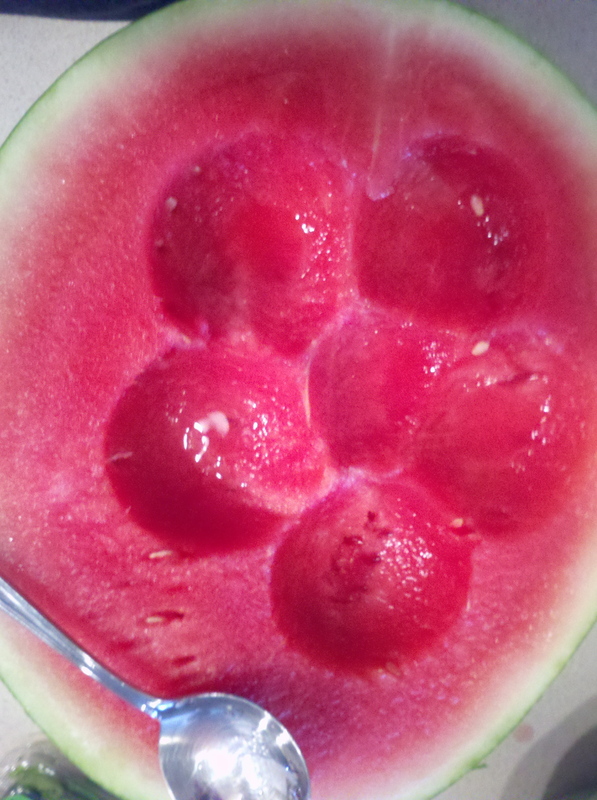 If there was one fruit that I would describe as sweet summer loving it would be watermelon. 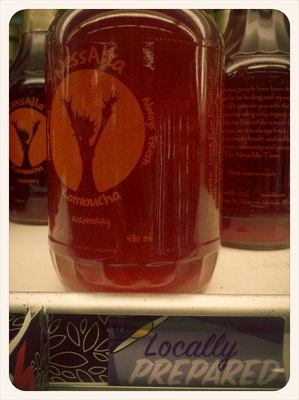 This colorful melon is so thirst quenching when the degrees start racking up as well as being extremely versatile. Slices of watermelon is hardly a snack you can go wrong with but what about adding some chili powder or lime sprinkled over the top, it’s easy to get creative and always rewarding. 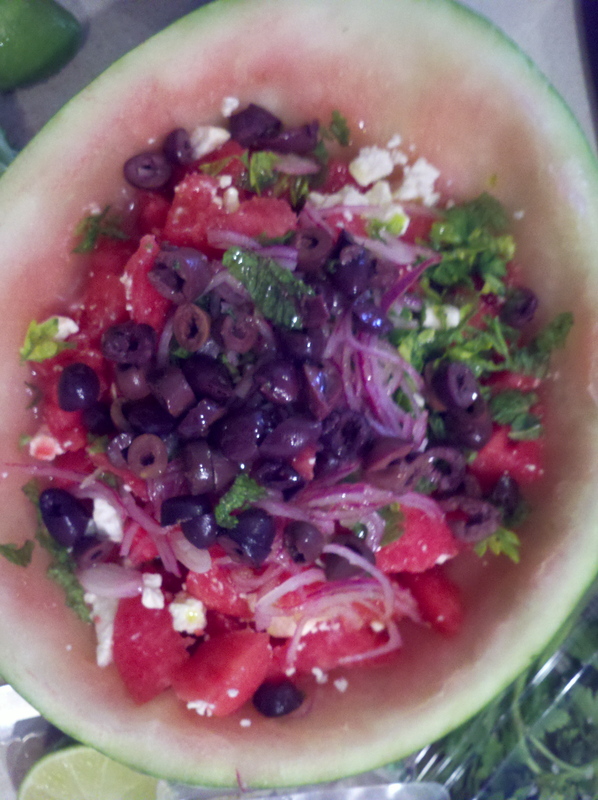 My favorite watermelon concoction is a salad with feta, Kalamata olives, onions and lime. All these flavors combined can create an addicting snack or the perfect side dish for any summer meal. The recipe I used was Nigella Lawson’s and the reason I choose to use one is because she has an interesting approach to getting the flavors to really blend well. Her advice for the onions is to soak them in the lime juice so they lose some of the bite onions can dominate a salad with. When working with watermelon this is an especially helpful tip. The rest of her ingredients include black olives but I like the flavor of Kalamata olives instead, and make sure to get pitted olives for maximum enjoyment. Nigella also chooses to add mint and parsley to go along with the tartness of lime and rich flavor of feta allowing for everything to compliment each other giving your taste buds a ride of their life. The recipe can be found at http://www.nigella.com/recipes/view/watermelon-feta-and-black-olive-salad-205, however if you google a Watermelon Feta salad you can find a list of other combinations that suit your style. Bon appetit and enjoy your sweet summer salads.